While Hamilton-mania continues to sweep Broadway, the hit show’s creator, Lin-Manuel Miranda, is already looking ahead to his next big project: a starring role in the sequel to Mary Poppins. Rumblings of Emily Blunt stepping into the role of the beloved English nanny first began earlier this year, when Variety reported that the actress was “in talks” to re-team with her Into the Woods director Rob Marshall and producers John DeLuca and Marc Platt to revive the character more than 50 years after Julie Andrews first brought her to the big screen in a spectacularly supercalifragilisticexpialidocious fashion. One month later, the outlet reported that producers were pursuing Miranda—now a Pulitzer Prize-winning playwright—for the role of Jack, a lamplighter who will essentially play the “Bert” to Blunt’s Mary. Now, Disney has confirmed the project. 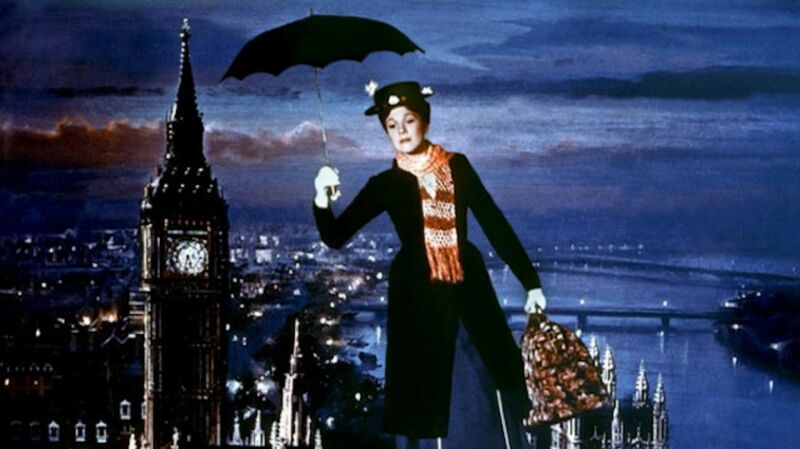 Titled Mary Poppins Returns, the movie will be scripted by two-time Oscar nominee David Magee (Life of Pi, Finding Neverland) and pull material from the remaining seven books in P.L. Travers’s Mary Poppins series. Unlike the rest of the world, Travers wasn’t a fan of the original 1964 film; at the film’s premiere, she reportedly spent most of the evening crying about what she saw on the screen and refused to let Disney adapt any more titles in the series. But the studio’s ready to give it another go, and has already assembled an impressive cast and crew. “I am truly humbled and honored to be asked by Disney to bring P.L. Travers’s further adventures to the screen,” Marshall said. “The iconic original film means so much to me personally, and I look forward to creating an original movie musical that can bring Mary Poppins, and her message that childlike wonder can be found in even the most challenging of times, to a whole new generation." Sounds like somethin' is brewin' and 'bout to begin.